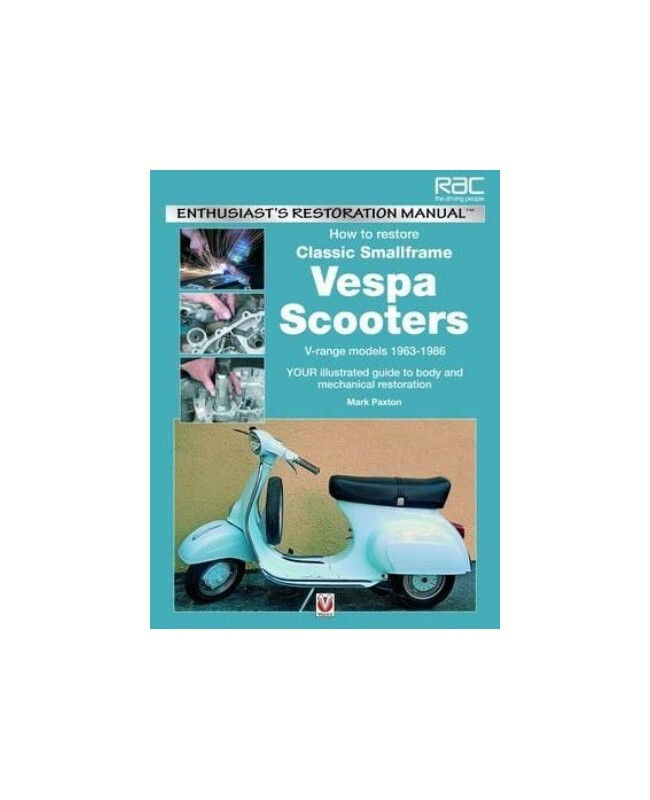 This book investigates the reality of renovating a small frame Vespa in detail, outlining the techniques to fully restore a complete wreck to factory fresh. The restoration is carried out by the author in his own workshop, and all stages of the process are covered. From frame welding and panel repair, to paint and trim, every process is clearly described and backed up by over 600 full color photographs. 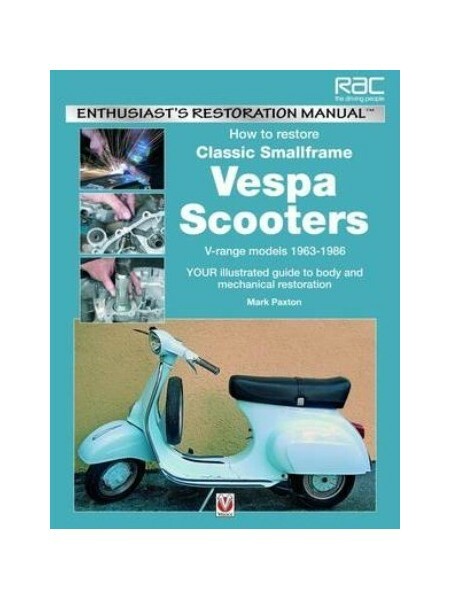 Special tools, advice on their use, and even possible home-made substitutes are covered, along with advice on spare parts – no small frame Vespa owner should be without a copy.